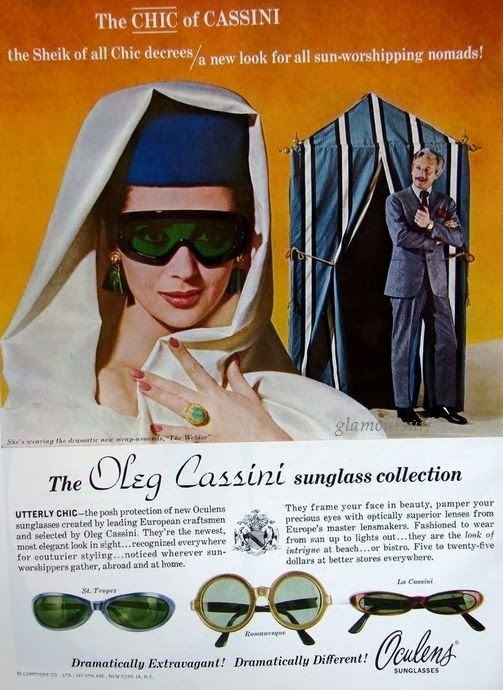 Oleg Cassini might not be one of the first names you think of when you dream of vintage swimwear but he did license, produce and design for several companies including his own. In mid 1963 Oleg designed swimwear under his own label Waterclothes. 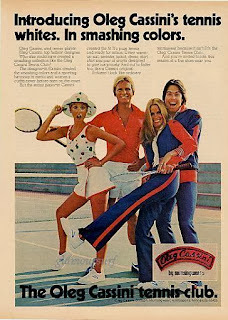 Waterclothes also employed the skills of American swimwear designer Tom Brigance, as did Sinclair and Gabar in the late 1950s and 1960s. 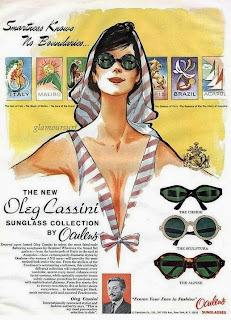 Cassini also designed and licensed his name to several manufacturers of swimwear and lingerie including Peter Pan and Mare Moda. 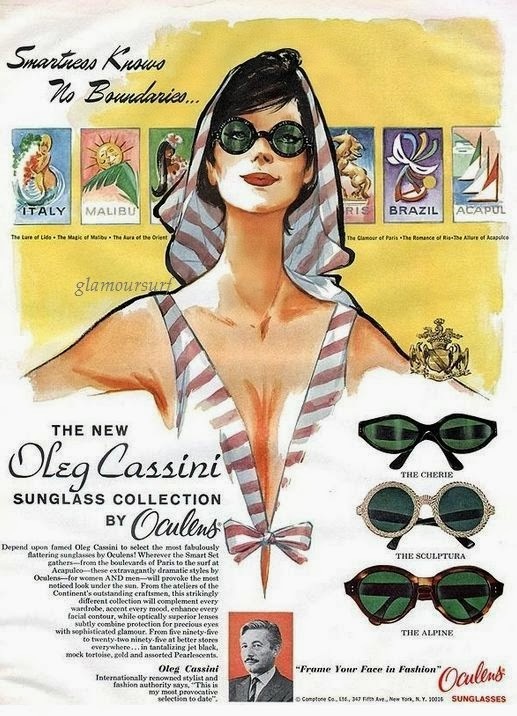 Also of note are his sunglasses designs for Oculens and tennis clothes for Munsingwear. By 1963 his renown enabled him to branch out into other licenses including foundations, sportswear, sport shirts, sweaters and clothes for young America. 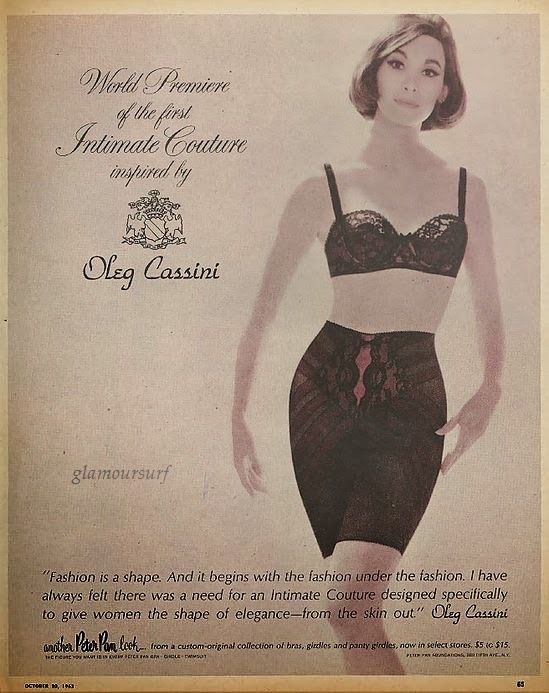 In the mid 1960s he disbanded his top ready to wear line and since then was involved only in licensing arrangements. "The swimsuit should be an envelope to the body - a second skin.I have always had a sexual message - I never believe in tampering with a womans body- the idea is to enhance the female form." 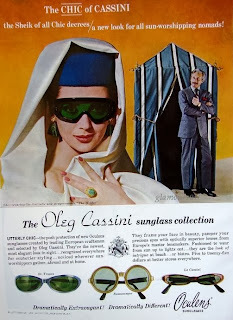 To see more of his swimwear designs please visit the Oleg Cassini website. And of final note a wonderful video from our fabulous friend Stevie @ Glamourdaze. You should really subscribe to her video channel. It's not to be missed! 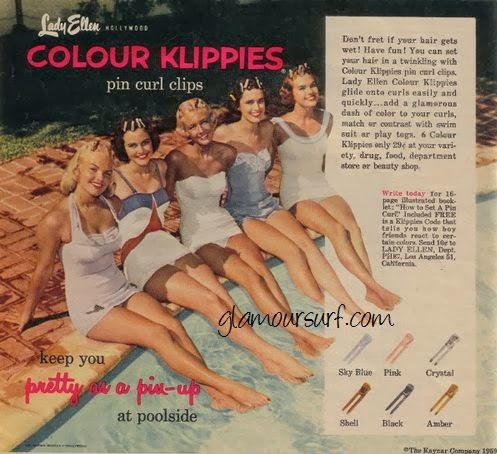 What a fun ad from 1950 for lady Ellen 'Colour Klippies'. Don't fret if you r hair get's wet! Use Colour Klippies poolside. You could even write for a brochure to show you how to manifest the Pin Curl. 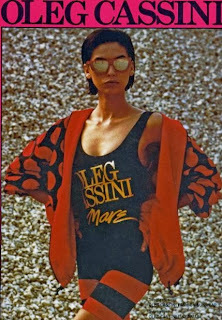 What I am loving is all those fabulous swimsuits though. Take not of the one on the left in particular. See that logo on the hip? Make that both hips! That's a pageant swimsuit made by Catalina, the pageant suits they made had the logo on both hips, not just one which was the usual. Anyone recognize her? Jean Littleton posing as a hood ornament on a DeSoto car circa 1956. 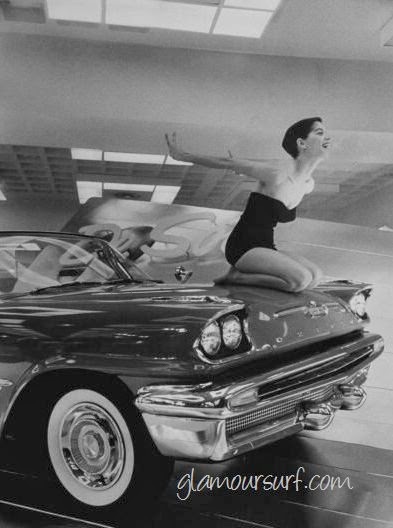 Image by Walter Sanders. 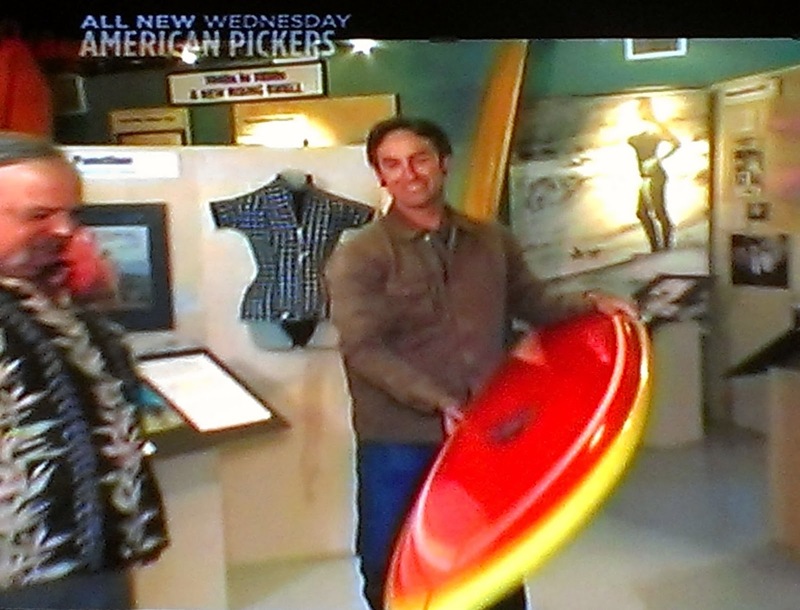 I'm so excited, we just watched an episode of American Pickers and see that Frank & Mike visited the California Surf Museum where we had many of our iconic swimsuits on display for the exhibition Women on Waves. In particular one of Glamoursurfs vintage 1960s wetsuits is on display right behind Mike!